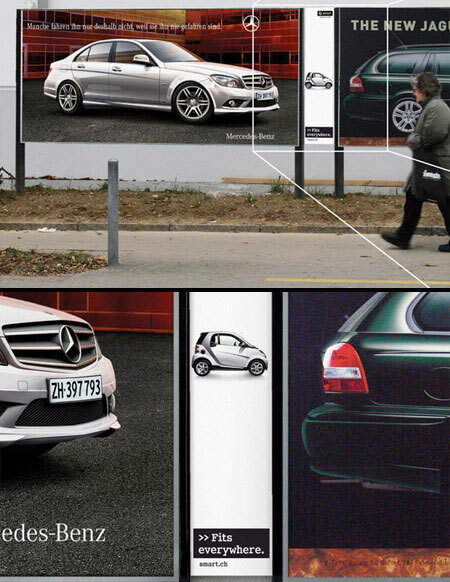 We are so overwhelmed with advertising everywhere that it becomes hard for creative agencies to make ads that stand out. 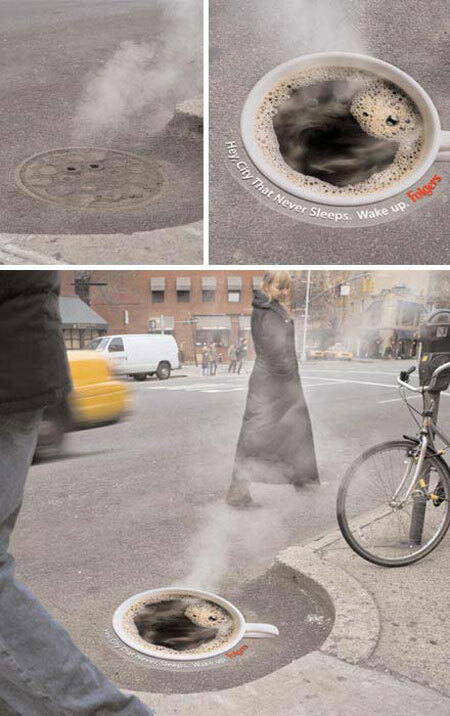 Guerilla advertising is a great way to make unusual, surrealistic visuals and situations that passers by will remember. Here is a selection. 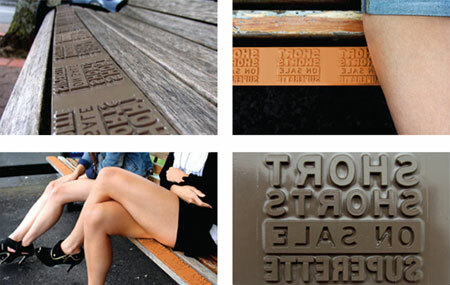 The bench that turns you into a walking advertisement if you are wearing short shorts. Via Trends Now. 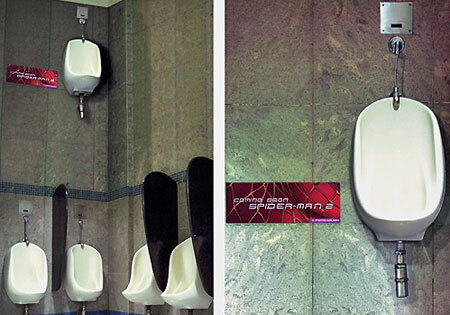 Pretty clever, the urinal that stands out. Via Business Week. Seen in New York, how would you not go grab a coffee there? Via Gothamist. 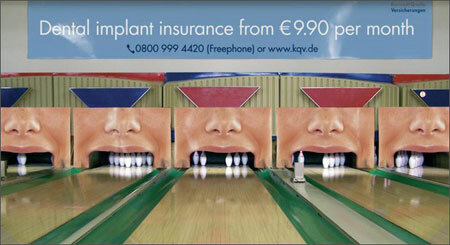 I would be curious to know how many people actually notice this ad. Via Hungry for Ads. 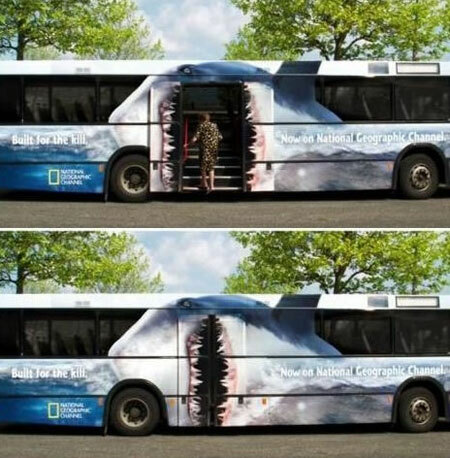 Enter the shark, a cool optical illusion for this National Geographic ad on a bus. Via Cool optical illusions. 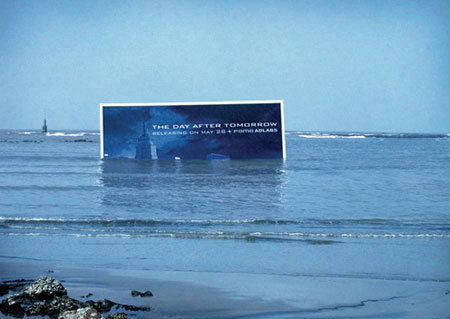 Cool idea to promote the movie ‘The day after tomorrow’, it gives the illusion that NYC has been submerged by the waters. Via Business Week. Feels good not to be in the same category as the big boys. Via Really good adv. 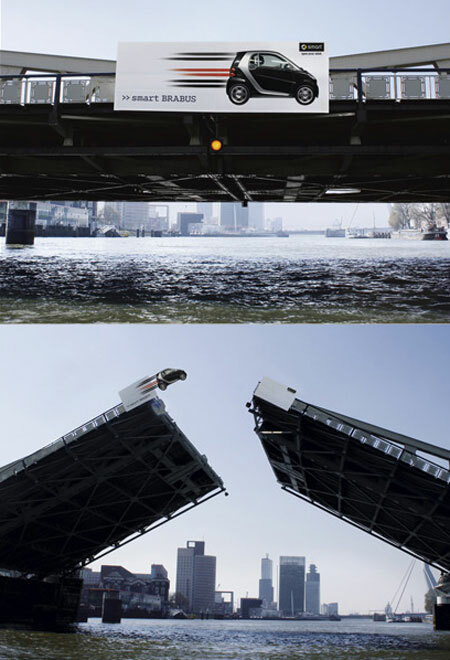 Small but poweful, I think the message just got across the bridge. 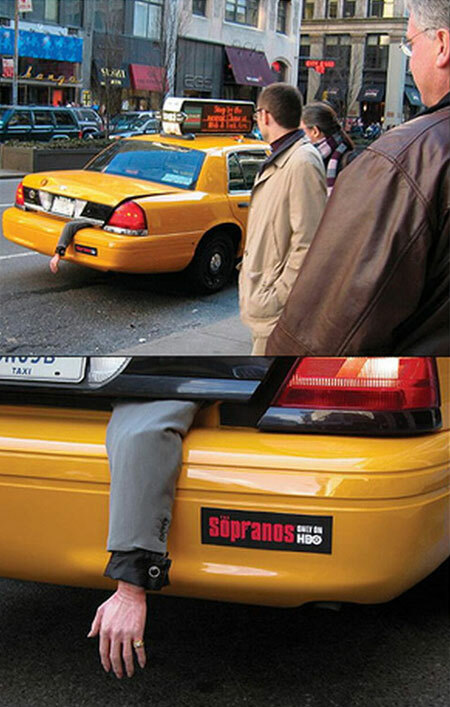 Via Really good adv. Unmissable ad, I’m sure all the bowlers that went there remembered it. Via AdGoodness. Trying to prove the quality of the product, I doubt it was real bills in there. Via Business Week. The right ad at the right spot, not sure I’d go to the gym to look like that guy though. 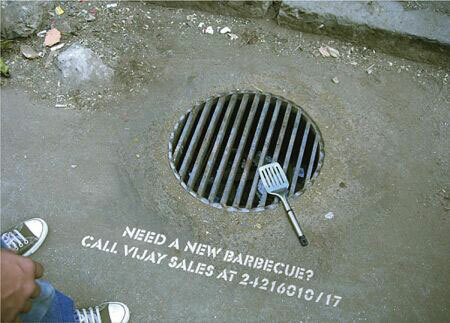 Via Ads of the World. A bit creepy, but certainly noticeable. Via Hungry for Ads. 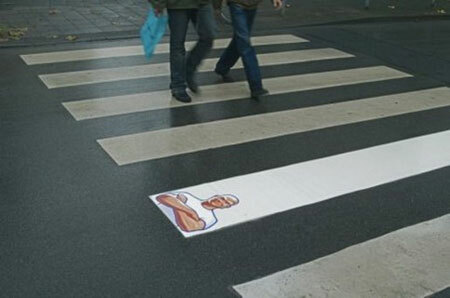 Using the street’s material to create your ad. Via Smooth Harold. 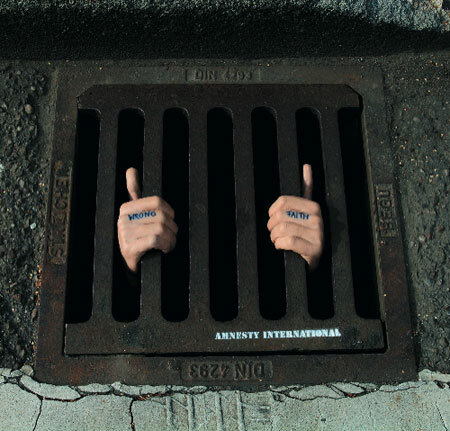 As often with Amnesty, powerful imagery to raise awareness for Human Rights. Via Stylemag.net. 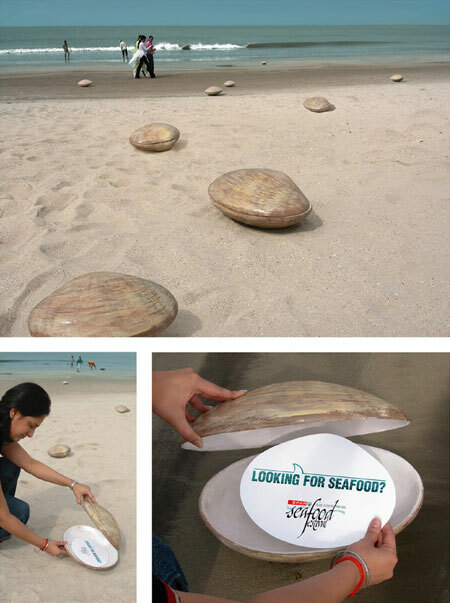 Shells at the beach, what a great idea to let wanderer explore. Via Fairmittlung. 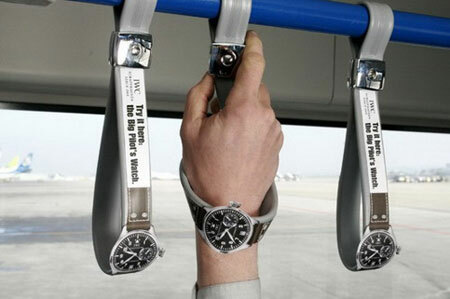 Letting you try their watches even in the bus, a good idea to bring people at the shop. Via Sharenator. A new understanding of the Exit boards. Via CherryFlava. 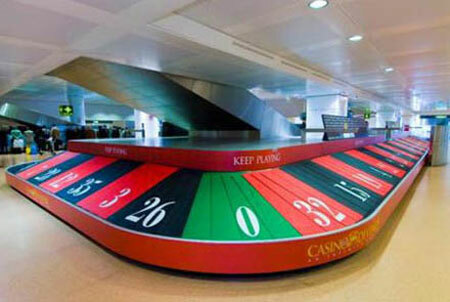 Travelers waiting for their luggage often hope for luck when standing around, great idea. Via Adoholik. 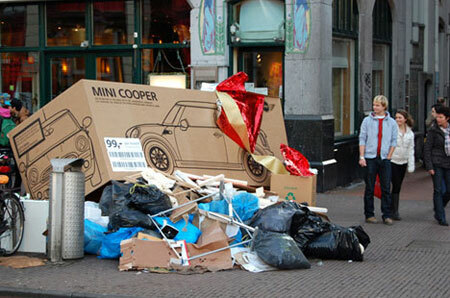 Adding would-be boxes of Mini Cooper cars on piles of trash, great way to explain how small and practical the car is. Via Geeker. 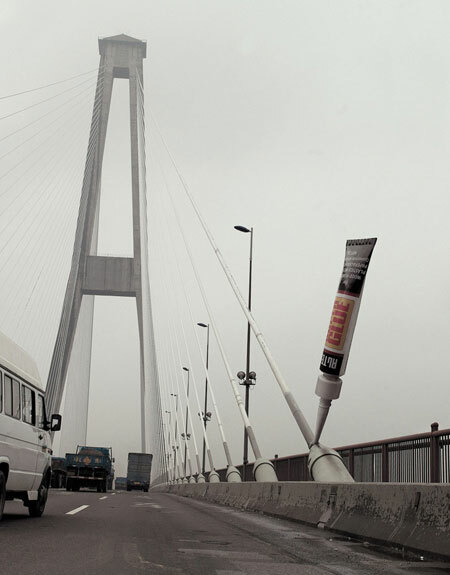 Way to make a point about the strength of that superglue. Via I Believe in Advertising. 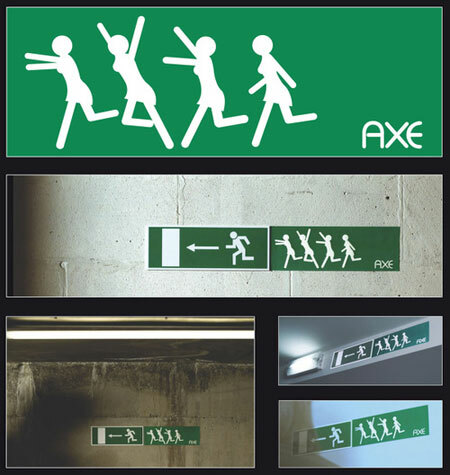 This entry was posted in Advertising, design, Humour, Illustration and tagged 20 creative guerilla marketing campaigns. Bookmark the permalink. I wish I had that kind of brain. These are absolutely brilliant! Me too! They are seriously clever. Thanks for the comment. I think the Folger’s ad is brilliant as is the car that fits anywhere. Those were my favourites. I admire the minds behind these ideas. This is an art form, I need some of this creative thinking. Were all of these done legally?? 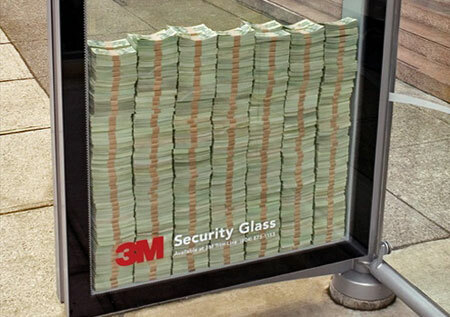 Awesome post for some truly awesome advertising campaigns. The campaigns are great, but I wonder how much work each took to produce? Was it a single person or a team behind the work?